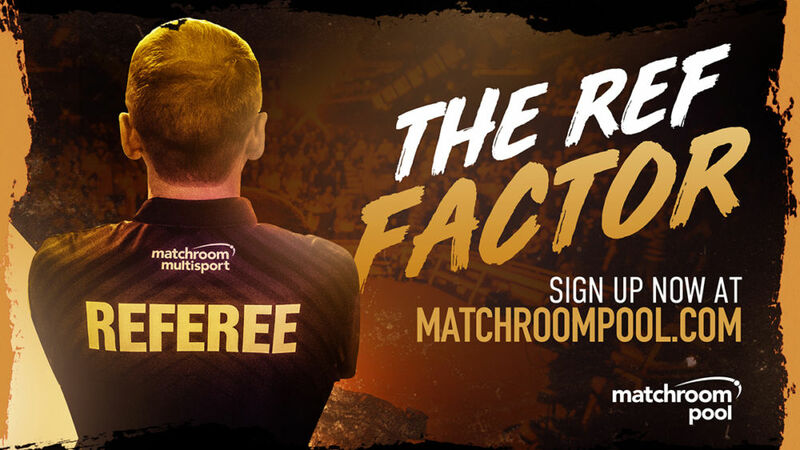 Matchroom Multi Sport has launched The Ref Factor – our search for new refereeing talent to join the Matchroom Pool team at the biggest events in 9-ball. We’re on the hunt for talented individuals to join our team and officiate at huge events such as the Mosconi Cup and US Open 9-Ball. Previous refereeing experience isn’t essential, simply fill in the form at the link below with as much detail as possible. We’ll shortlist candidates to attend an assessment day where Matchroom Pool Tournament Director Nigel Rees will put hopefuls through their paces and offer an inside track on refereeing at the highest level in pool. The UK assessment day will take place in Telford on Sunday 17th February. A location for international referees assessment will be confirmed in due course. Applications close at 12noon (UK time) on Monday, February 11.